Christ ... or do they? Is Christ a member of the Hopi Nation? Is he Jewish? 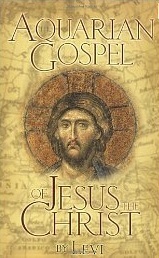 Most Christians believe that he is the Jewish man, Jesus. Is Christ related to Pahana, to Messiah, to the Pale Prophet of the Americas? Let’s share some information that may help us understand how all of these entities may be related. Levi, the author of The Aquarian Gospel of Jesus the Christ , shares with us some revealing information that he gleaned from the Akashic Records, the Book of Remembrance referred to in Malachi 3:16. These are some very special writings of Spirit which include the names of, (and was written for) those who “fear”, or hold in awe and reverence, the God of Israel. Levi shares with us from these records that Christ is not a man (as the Christian religion believes). He tells us that Christ is the Divine Love of God the Father. Christ is the “only begotten Son of God”, and that stands to reason, because if God is Unconditional Love, the Son would also be Unconditional Love. That’s kind of similar to “a dog would not give birth to a fish”. It is logical that God may create a human, but He would not give birth to one. Jesus taught the spiritual aspect of the Torah. He was a light to the world. He had a pure heart filled with unconditional love, filled with “Christ” the Divine Love of God the Father. Sometimes when Jesus spoke, it was actually the Spirit of God (Christ) speaking. For instance, when he said, "I am the way, truth, and life, no man cometh unto the Father except by me," it was actually the Spirit of God speaking through him. It was Christ speaking. It is unconditional love that is the only way to our heavenly Father. It is unconditional love that is the way, the truth, and the life. Like Jesus taught in Luke 10:25-28, when you love God the Father with all your heart, soul, mind, and strength, and love your neighbor as yourself, you have eternal life! Love is like light. When we have two lights in one room, the lights merge and we can’t tell where one light begins and the other ends. When we have unconditional love in our hearts, we can’t tell where our love ends and Creator’s love begins—they merge as one. Will Christ return to us soon? It is written that God the Father sends Christ to help humanity at the beginning of every new age. 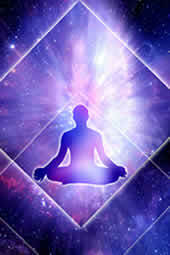 As we move from the Age of Pisces into the Age of Aquarius, we are moving into an age of enlightenment . We have strong expectations. Jews are expecting Messiah to come. Christians expect the return of Jesus. Hopi expect the return of the White Brother, Pahana. Some of us are expecting the return of Christ.